How much of a car lover are you? Are you willing to take care of one of the biggest cats in the world? Then watch this video of a man who took his love for cats to the most dangerous level. Kevin Richardson, who is a zookeeper, is a South African animal behaviourist who has worked extensively with native animals of Africa. His love for big cats made him brought his affection for them in a whole different level. He was said to sleep, feed and live with lions. 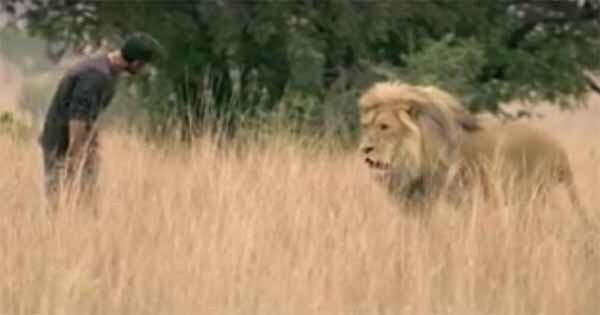 Aside from lions, he also worked with cheetahs, hyenas and leopards though he prefer lions to other big cats. Richardson has been featured in many publications with regards to his love for big cats. Some of these are Dangerous Companions, Growing Up Hyena, White Lion: Home is a Journey, GoPro: Lions - The New Endangered Species? and a whole lot more. Since lions are wild animals, Richardson has proved that lions still have a soft heart. Though it is not recommended for lions to be treated as pets as one wrong move and surely a disaster will hit. This man has an unbelievable relationship with lions...Big Cats: An Amazing Animal Family starts on Monday at 8pm.